According to this post from Stack Overflow, Perl is the most disliked programming language. I have fond memories of writing Perl, though it’s been a long time since I used it. I mostly wrote scripts for file munging, the task it does best, and never had to maintain someone else’s Perl code. Under different circumstances I probably would have had less favorable memories. Perl is a very large, expressive language. That’s a positive if you’re working alone but a negative if working with others. Individuals can carve out their favorite subsets of Perl and ignore the rest, but two people may carve out different subsets. You may personally avoid some feature, but you have to learn it anyway if your colleague uses it. Also, in a large language there’s greater chance that you’ll accidentally use a feature you didn’t intend to. For example, in Perl you might use an array in a scalar context. This works, but not as you’d expect if you didn’t intend to do it. I suspect that people who like large languages like C++ and Common Lisp are more inclined to like Perl, while people who prefer small languages like C and Scheme have opposite inclinations. grapheme A graphene is an allotrope of carbon arranged in a hexagonal crystal lattice one atom thick. Grapheme, or more fully, a grapheme cluster string is a single user-visible character, which in turn may be several characters (codepoints) long. 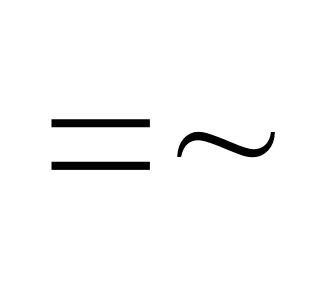 For example … a “ȫ” is a single grapheme but one, two, or even three characters, depending on normalization. Second, the example shows how complicated the details of Unicode can get. The Perl code below expands on the details of the comment about ways to represent ȫ. # All versions display the same. # The versions have length 1, 2, and 3. # Only $a contains one character and so matches . # All versions consist of one grapheme. The book suggests learning one tool instead of several, and in the bargain getting more powerful features, such as more expressive pattern matching. It also suggests not necessarily committing to learn the entire enormous Perl language, and not necessarily committing to use Perl for every programming task. Regarding Perl’s pattern matching, I could relate to the following quip from the book. What’s the only thing worse than not having a particular metacharacter … in a pattern-matching utility? Thinking you do, when you don’t! Unfortunately, that’s a common problem when using Unix utilities for pattern matching. That was my experience just yesterday. I wrote a regular expression containing \d for a digit and couldn’t understand why it wasn’t matching. Most of the examples rely on giving Perl command line options such as -e so that it acts more like command line utility. The book gives numerous examples carrying out common tasks in grep etc. and with Perl one-liners. The latter tend to be a little more verbose. If a task falls in the sweet spot of a common tool, that tool’s syntax will be more succinct. But when a task falls outside that sweet spot, such as matching a pattern that cannot be easily expressed with traditional regular expressions, the Perl solution will be shorter. Lisp is the result of taking syntax away, Perl is the result of taking syntax all the way. Lisp practically has no syntax. It simply has parenthesized expressions. This makes it very easy to start using the language. And above all, it makes it easy to treat code as data. Lisp macros are very powerful, and these macros are made possible by the fact that the language is simple to parse. Perl has complex syntax. Some people say it looks like line noise because its liberal use of non-alphanumeric characters as operators. Perl is not easy to parse — there’s a saying that only Perl can parse Perl — nor is it easy to start using. But the language was designed for regular users, not beginners, because you spend more time using a language than learning it. There are reasons I no longer use Perl, but I don’t object to the rich syntax. Saying Perl is hard to use because of its symbols is like saying Greek is hard to learn because it has a different alphabet. It takes years to master Greek, but you can learn the alphabet in a day. The alphabet is not the hard part. Symbols can make text more expressive. If you’ve ever tried to read mathematics from the 18th or 19th century, you’ll see what I mean. Before the 20th century, math publications were very verbose. It might take a paragraph to say what would now be said in a single equation. In part this is because notation has developed and standardized over time. Also, it is now much easier to typeset the symbols someone would use in handwriting. Perl’s repertoire of symbols is parsimonious compared to mathematics. I imagine that programming languages will gradually expand their range of symbols. People joke about how unreadable Perl code is, but I think a page of well-written Perl is easier to read than a page of well-written Lisp. At least the Perl is easier to scan: Lisp’s typographical monotony makes it hard to skim for landmarks. One might argue that a page of Lisp can accomplish more than a page of Perl, and that may be true, but that’s another topic. Any discussion of symbols and programming languages must mention APL. This language introduced a large number of new symbols and never gained wide acceptance. I don’t know that much about APL, but I’ll give my impression of why I don’t think APL’s failure is not proof that programmers won’t use more symbols. What if programming notation were more like music notation? Music notation is predominately non-verbal, but people learn to read it fluently with a little training. And it expresses concurrency very easily. Or maybe programs could look more like choral music, a mixture of symbols and prose. Since sed does not have the look-behind feature or d for digits, the corresponding sed code would be more complicated. I quit writing Perl years ago. I don’t miss Perl as a whole, but I do miss Perl’s regular expression support. Learning Perl is a big commitment, but just learning Perl regular expressions is not. Perl is the leader in regular expression support, and many programming languages implement a subset of Perl’s regex features. You could just use a subset of Perl features you already know, but you’d have the option of using more features. Peteris Krumins has a new book, Perl One-Liners Explained. His new book is in the same style as his previous books on awk and sed, reviewed here and here. All the books in this series are organized by task. For each task, there is a one-line solution followed by detailed commentary. The explanations frequently offer alternate solutions with varying degrees of concision and clarity. Sections are seldom more than one page long, so the books are easy to read a little at a time. Programmers who have written a lot of Perl may still learn a few things from Krumins. In particular, those who have primarily written Perl in script files may not be familiar with some of the tricks for writing succinct Perl on the command line. Larry Wall said something one time to the effect that Scheme is beautiful and every Scheme program is ugly; Perl is ugly, but it lets you write beautiful programs. Of course it also lets you write ugly programs if you choose. The reason many people hate programming in Lisp [the parent language of Scheme] is because every thing looks the same. I’ve said it before, and I’ll say it again: Lisp has all the visual appeal of oatmeal with fingernail clippings mixed in. The complexity left out of Scheme is transferred to the code you write in Scheme. If you’re writing small programs, that’s fine. But if you write large programs in Scheme, you’ll either write a lot of code yourself or you’ll leverage a lot of code someone else has written in libraries. Perl is a complicated language, but it works very well for some problems. Features that other languages would put in libraries (e.g. regular expressions, text munging) are baked directly into the Perl language. And if you depend on those features, it’s very handy to have direct support in the language. The point of my discussion of Scheme and Perl is that the complexity has to go somewhere, either in the language, in libraries, or in application code. That doesn’t mean all languages are equal for all tasks. Some languages put the complexity where you don’t have to think about it. For example, Java simpler than C++, as long as you don’t have to understand the inner workings of the JVM. But if you do need to look inside the JVM, suddenly Java is more complex than C++. The total complexity hasn’t changed, but your subjective experience of the complexity increased. Earlier this week I wrote a post about C and C++. My point there was similar. C is simpler than C++, but software written in C is often more complicated that software written in C++ when you compare code written by developers of similar talent. If you need the functionality of C++, and most large programs will, then you will have to write it yourself if you’re using C. And if you’re a superstar developer, that’s fine. If you’re less than a superstar, the people who inherit your code may wish that you had used a language that had this functionality built-in. I understand the attraction to small programming languages. The ideal programming language has everything you need and nothing more. But that means the ideal language is a moving target, changing as your work changes. As your work becomes more complicated, you might be better off moving to a more complex language, pushing more of the complexity out of your application code and into the language and its environment. Or you may be able down-size your language because you no longer need the functionality of a more complex language. This post compares complexity in spoken languages and programming languages. There is a theory in linguistics that all human languages are equally complex. Languages may distribute their complexity in different ways, but the total complexity is roughly the same across all spoken languages. One language may be simpler in some aspect than another but more complicated in some other respect. For example, Chinese has simple grammar but a complex tonal system. Even if all languages are equally complex, that doesn’t mean all languages are equally difficult to learn. An English speaker might find French easier to learn than Russian, not because French is simpler than Russian in some objective sense, but because French is more similar to English. All spoken languages are supposed to be equally complex because languages reach an equilibrium between at least two forces. Skilled adult speakers tend to complicate languages by looking for ways to be more expressive. But children must be able to learn their language relatively quickly, and less skilled speakers need to be able to use the language as well. I wonder what this says about programming languages. There are analogous dynamics. Programming languages can be relatively simpler in some way while being relatively complex in another way. And programming languages become more complex over time due to the demands of skilled users. But there are several important differences. Programming languages are part of a complex system of language, standard libraries, idioms, tools, etc. It may make more sense to speak of a programming “system” to make better comparisons, taking into account the language and its environment. I do not think that all programming systems are equally complex. Some are better designed than others. Some are more appropriate for a given task than others. Some programming systems achieve simplicity by sacrificing efficiency. Some abstractions leak less than others. On the other hand, I imagine the levels of complexity are more similar when comparing programming systems rather than just comparing programming languages. Larry Wall said something to the effect that Perl is ugly so you can write beautiful programs in it. I think there’s some truth to that. A language can always be small and elegant by simply not providing much functionality, forcing the user to implement that functionality in application code. 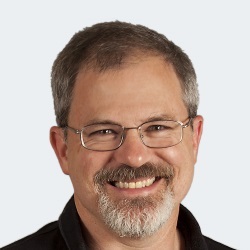 See Larry Wall’s article Natural Language Principles in Perl for more comparisons of spoken languages and programming languages.